Smart Compose is a feature reserved for Gmail users on the web, but Google has decided that it would make a fine addition to the mobile app as well. The Mountain View company announced today that it will bring Smart Compose to Gmail mobile and that the first device to get it will be the Pixel 3. For those who don't know, Smart Compose helps Gmail users write emails much faster since it uses machine learning to offer suggestions on the fly. 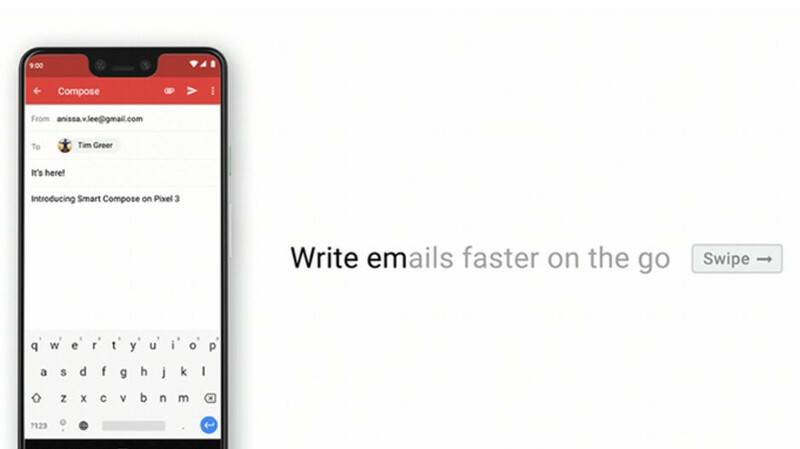 Those who plan to buy the Pixel 3/XL will notice that Gmail offers writing suggestions as they type and that they can swipe right to use the suggestions they need. Apart from bringing Smart Compose to Gmail mobile, Google announced that in the coming months, four new languages – Spanish, French, Italian and Portuguese, will be available for users in addition to English. As far as availability goes, Google announced that Smart Compose will be made available to more mobile devices starting in 2019.